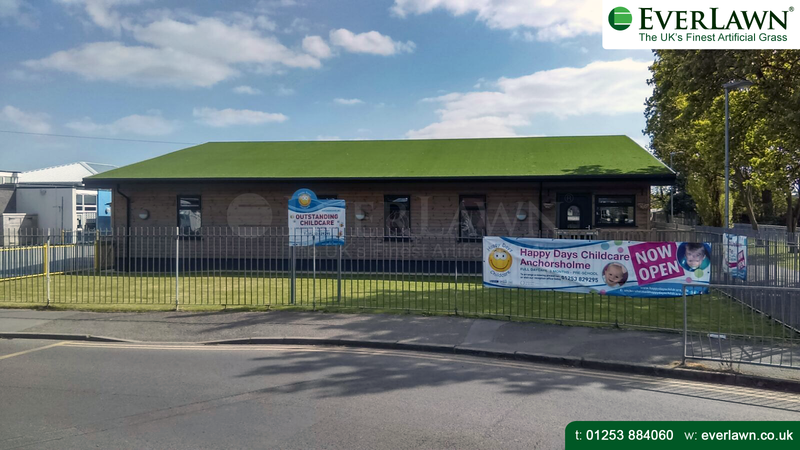 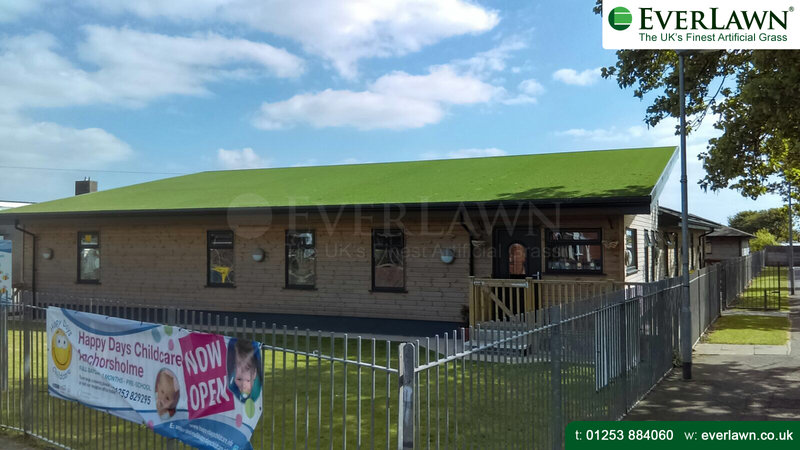 EverLawn® Ruby Artificial Grass installed onto the roof of Anchorsholme Happy Days Nursery and Pre-School. 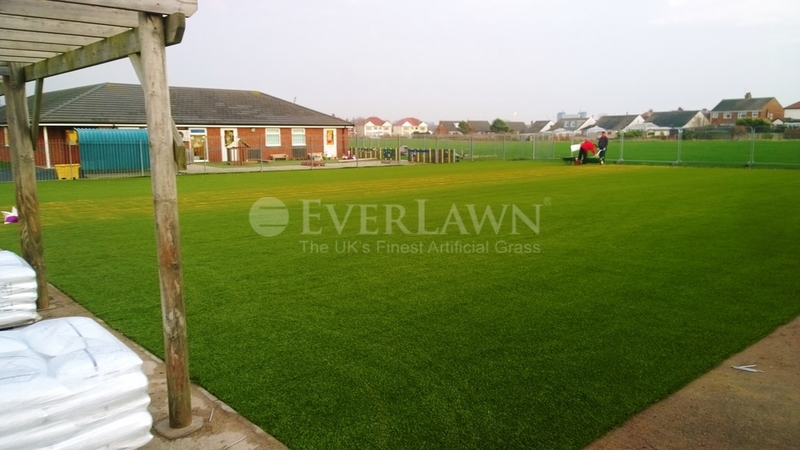 Not only can artificial grass be brilliant in the garden but it has great uses in the design of a building. 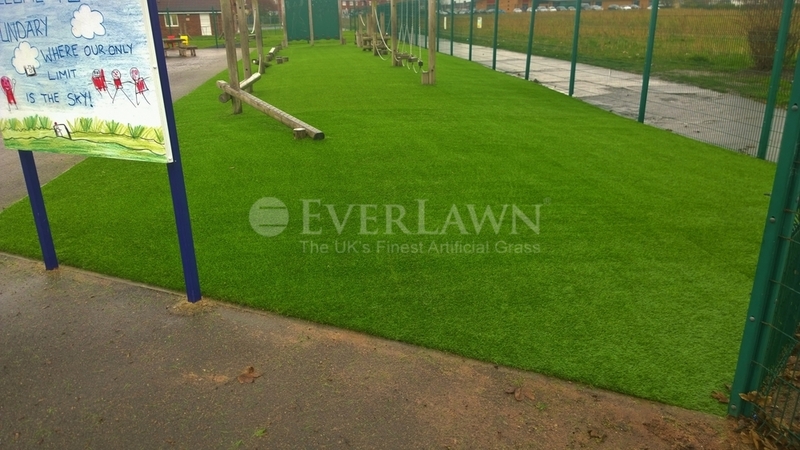 EverLawn® Artificial Grass can be used for many applications including commercial and domestic projects. 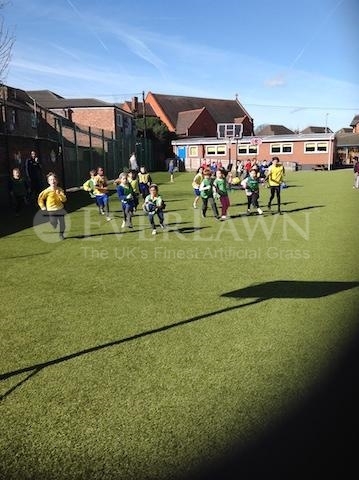 Our artificial grass has been used in Schools, Gardens and much more.